A seat with a view! 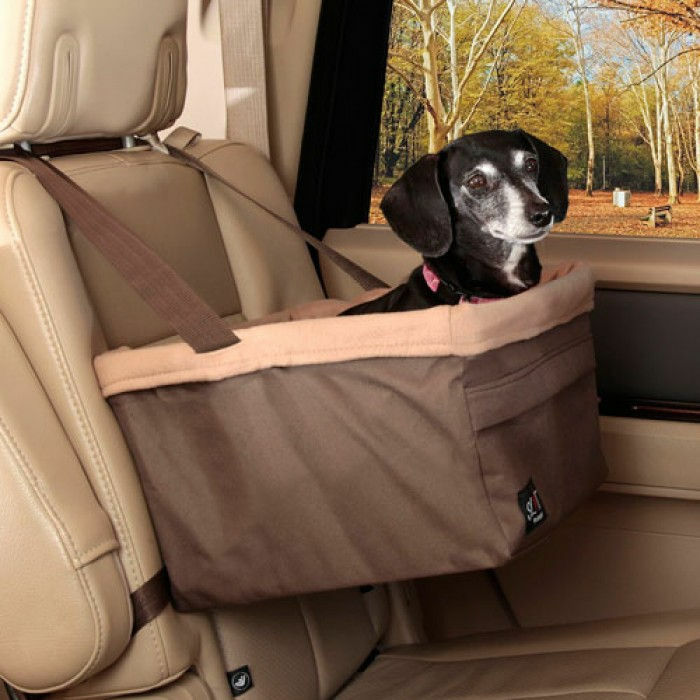 Unique in its design, the Solvit Booster Seats elevate pets off the car seat so they can watch the world go by, with no clumsy straps to impair their view or their comfort. Installs securely in one minute and even works in the back seat! 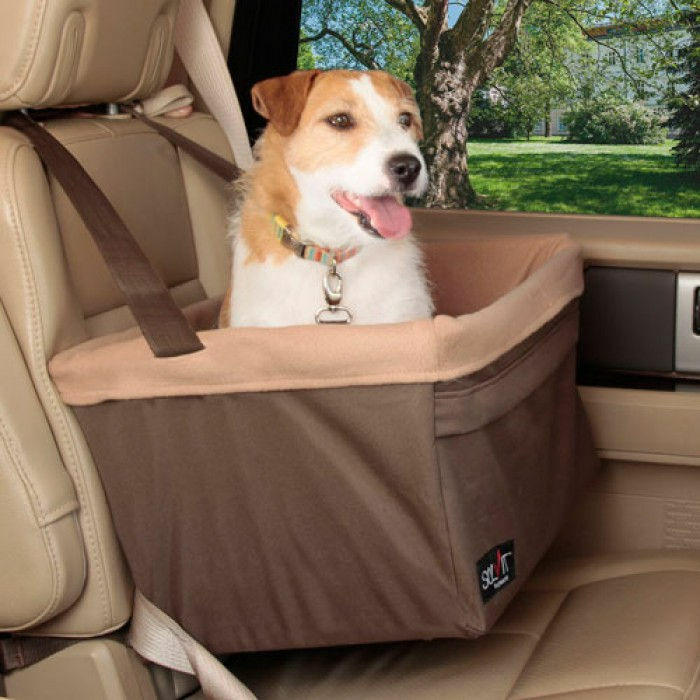 The Booster Seats feature a padded interior and an internal harness attachment to create a secure ride for your dog. The internal liner removes for washing to keep the booster seat clean and fresh. Safety leash and storage pocket included. Medium: 14 x 12 x 8″, holds pets up to 12lbs. 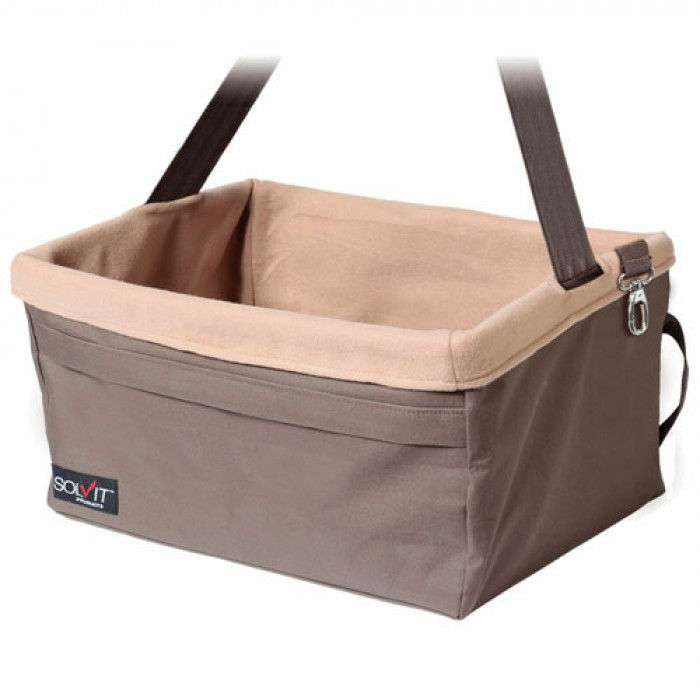 Large: 16 x 13 x 8″, holds pets up to 18lbs. 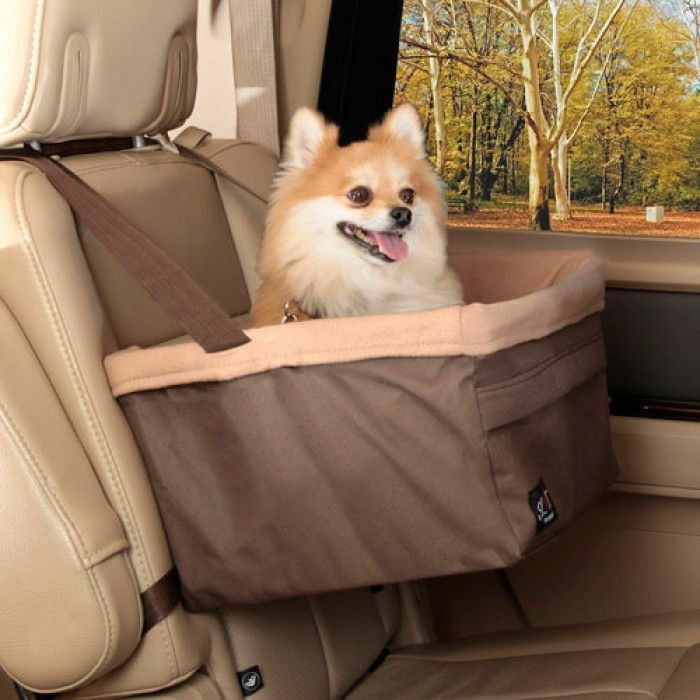 XLarge: 20 x 16 x 10″, holds pets up to 25lbs.